The gruesome injury suffered by their centre overshadowed everything else Monday night. 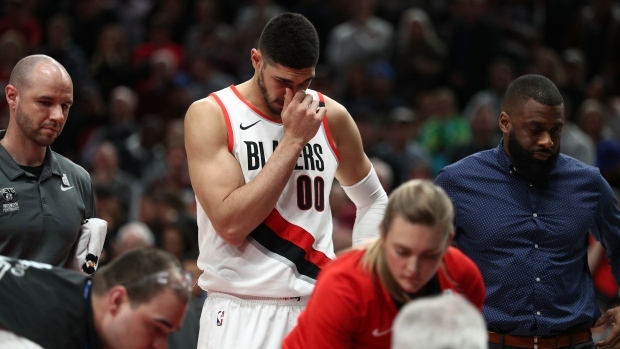 "I'm just going to go home and pray for him," Blazers centre Enes Kanter said. "This is bigger than basketball. We clinched the playoff spot but we can't even celebrate. He was a big part of our family. Not our team, our family." Nurkic's basket made it 134-132 with 3:40 to go into the second overtime. With centre Jarrett Allen and Ed Davis having fouled out and the Nets left without a big man, Nurkic had a huge advantage inside whenever he posted up or went for rebounds.